HERA Foundation is focused on delivering research for the betterment of our industry. And a key avenue they use to achieve this is through the award of postgraduate scholarships. A great example of this is University of Auckland’s Department of Civil and Environmental Engineering Student Kingsley Ukanwa. 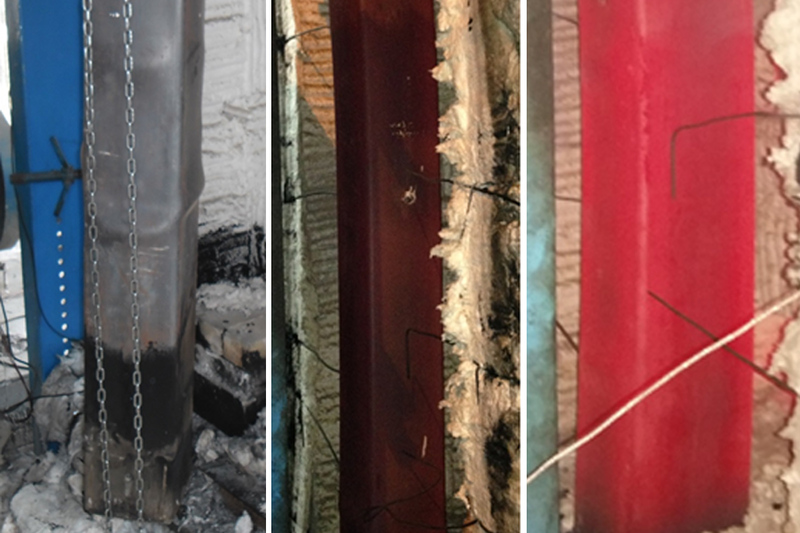 Who was charged with the task of understanding composite CFST (concrete filled steel tubular) columns under severe fire conditions, and the development of a new design procedure for their use in multi-storey buildings. A subject that in 2015 became a high research priority through the HERA Steel Research Panel as despite their growing use in construction, most designers found it difficult to determine the adequacy of these columns in the fire limit state where they’re subjected to combined axial compression and bending. 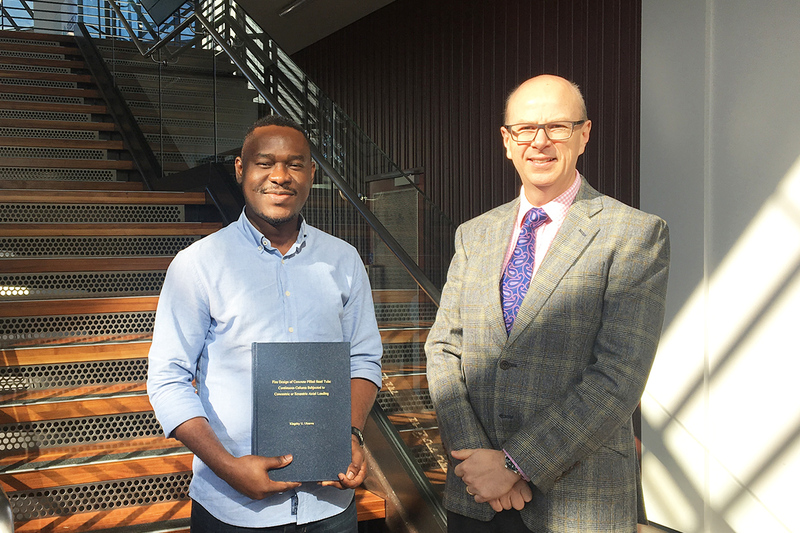 University of Auckland Department of Civil & Environmental Engineering Student and HERA Foundation Scholarship Recipient Kingsley Ukanwa with our General Manager Structural Systems Dr Stephen Hicks. This project involved a combination of experimental testing and numerical modelling. With 22 full scale laboratory experiments on concrete filled steel tubular columns loaded either concentrically (compression) or eccentrically (compression + bending) in severe fire conditions. This was executed at IIT Roorkee, India, through their generous contribution of facilities and expertise, and was followed by numerical modelling of the tested columns. This culminated in the development of a design procedure for concrete filled CHS, SHS and RHS sections based on over 230 tests undertaken worldwide. To date, this procedure has been refined to its current form and has been applied to a significant building project – the Auckland International Airport Phase 4 Pier B Extension. Here it will be used to validate the axial capacity of CFST columns. 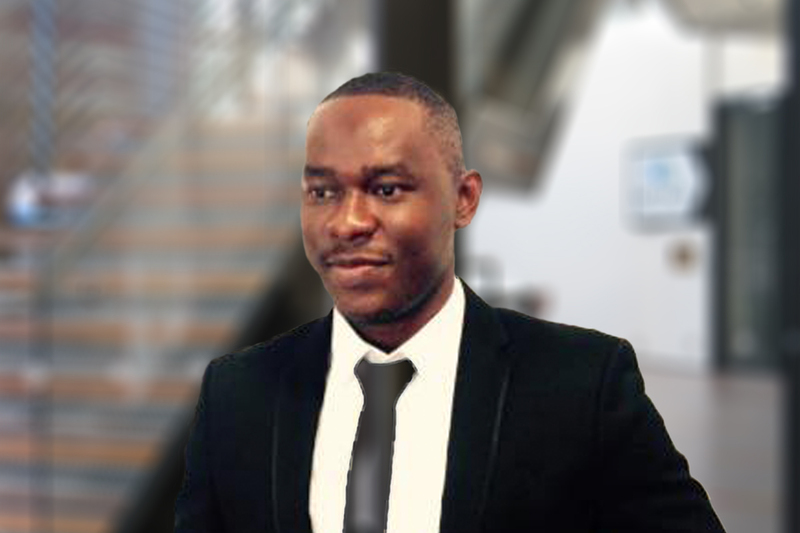 HERA Foundation is certainly proud of Kingsley and the valuable work he has delivered to assist our industry in taking advantage of CFST’s high strength, stiffness and ease of construction in future projects. To date, they’ve been used in many structural applications including high-rise buildings, bridges and offshore structures. A core result of their outstanding mechanical performance such as high axial load capacity, ductility performance, energy absorption capacity and low strength degradation. CFST square columns shortly after failure in the fire furnace during laboratory experiments. 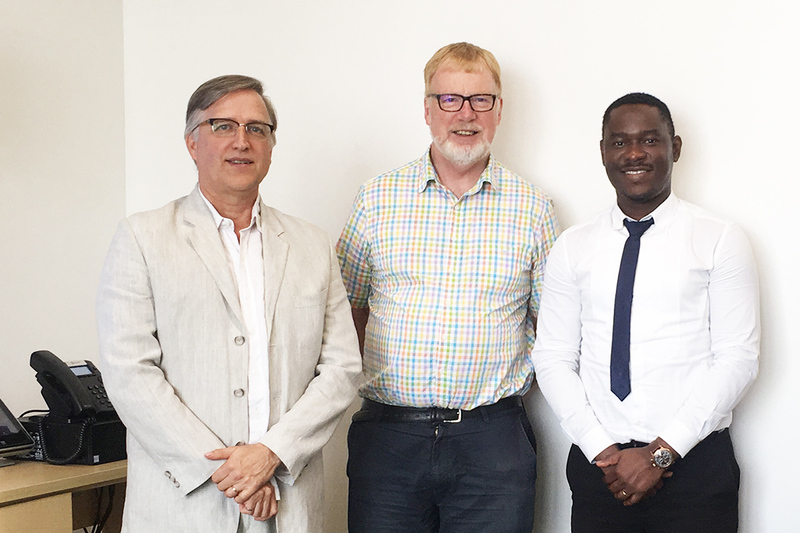 University of Auckland Professor of Timber Design Pierre Quenneville, Associate Professor of Civil Engineering Charles Clifton and HERA Foundation Scholarship Recipient Kingsley Ukanwa after PhD defense. For building projects, significant periods of fire resistance can be obtained without the need for external applied protection – reducing costs and making CFSTs an attractive structural solution for our members. “His work to understand the behaviour of CFST composite columns in fire conditions has filled a critical knowledge gap. This very efficient composite member has not been fully exploited in New Zealand and is particularly suited to high-rise multi-storey buildings.” he said. As a lead disseminator, HERA will be using Kingsley’s work to form the basis of new design rules which will be included in our publications and potentially national standards. Our next steps will be to present the findings to the committee responsible for the first joint composite design standard AS/NZ 2327 – to explore the potential of including within future editions.